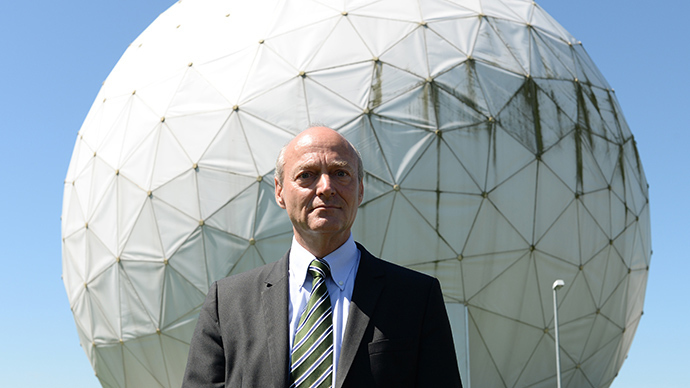 Germany is expelling the CIA chief in Berlin in retaliation for the latest espionage scandals 'in addition to existing issues'. Two suspected US agents have been exposed in the past week, prompting criticism from German Chancellor Angela Merkel. The expulsion comes shortly after the alleged US agents were unmasked, suspected of acting as double agents within the state security apparatus, and passing secrets to US intelligence contacts. The move was “a reaction to persistent failure to work together in efforts towards clarification,” according to the chief of the Parliamentary Control Panel. 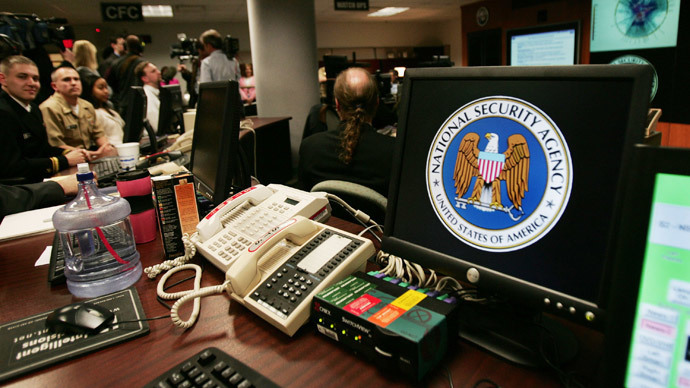 The two new cases, which came in quick succession of one another, increase the strain on already tense relations after the revelations made about the extent of global NSA espionage in June, 2013. 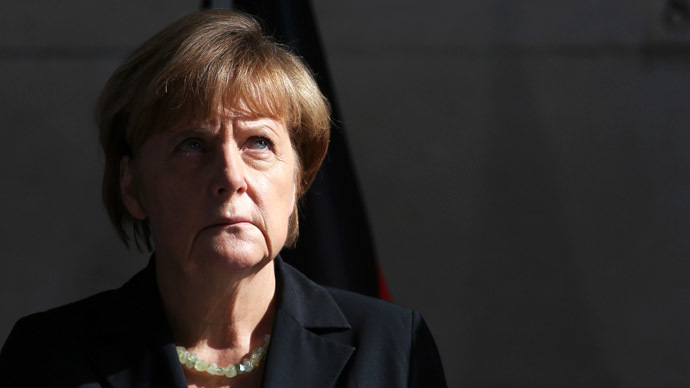 Merkel criticized the spy’s presence in Germany, stating that when common sense is switched on, “spying is ultimately a waste of force,” reported Der Spiegle. She added that in 21st century intelligence work, there should be a strong focus on the essentials rather than that which is just technically possible – to the point that “one can’t see the wood because of all the trees,” Merkel said. “The order arose against the backdrop of the ongoing investigation by the General Prosecutor's Office, in addition to existing issues in recent months surrounding the actions of US intelligence agencies in Germany,” said the document. The US stated on Thursday that it was imperative that the two nations continued to cooperate on intelligence and security matters. "We have seen these reports and have no comment on a purported intelligence matter. However, our security and intelligence relationship with Germany is a very important one and it keeps Germans and Americans safe," White House spokeswoman Caitlin Hayden told Reuters. "It is essential that cooperation continue in all areas and we will continue to be in touch with the German government in appropriate channels," she added. At the same time, the US government’s representatives refused to comment on the news from Germany. "I don't want you to come away from this exchange thinking we take this matter lightly," he said, adding that the US and Germany continue to have a strong partnership. The State Department spokeswoman, Jen Psaki, also declined to comment on the development. A 31-year-old intelligence officer was arrested last week, and further reports on Wednesday indicated that a German soldier was also being investigated. According to German newspaper Die Welt, the soldier was said to have made “intensive contacts” with alleged US intelligence officials, and had been under surveillance by Military Intelligence (MAD) for some time. 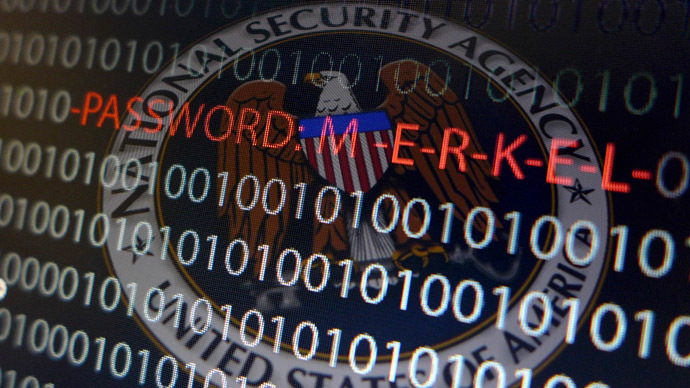 The US has not yet denied allegations that the German intelligence official was passing classified information to the NSA. In a report published on Monday, two unidentified government officials told Reuters of the CIA’s involvement in the operation, which led to the recruitment of the 31-year-old suspected spy, who is now in the custody of German officials. The man was alleged to have passed the Americans 218 secret documents in exchange for € 25,000 ($34,100), and having been a double agent for them for two years through meetings with his contact in Austria and passing on secret documents on a USB stick. 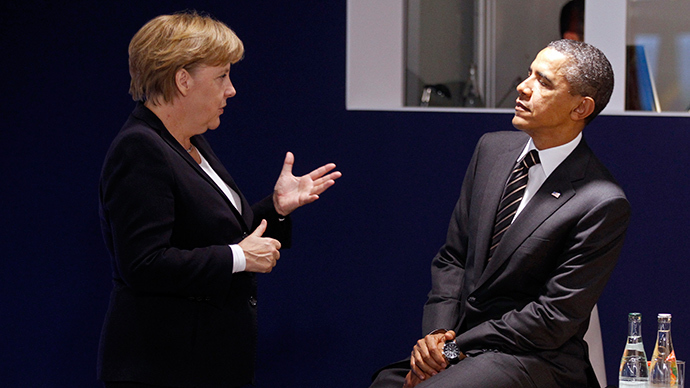 Last October, Merkel was enraged to learn she was allegedly on the NSA’s tapping list since 2002. The Chancellor called the alleged spying, which became known thanks to Edward Snowden’s leaks, "unacceptable." 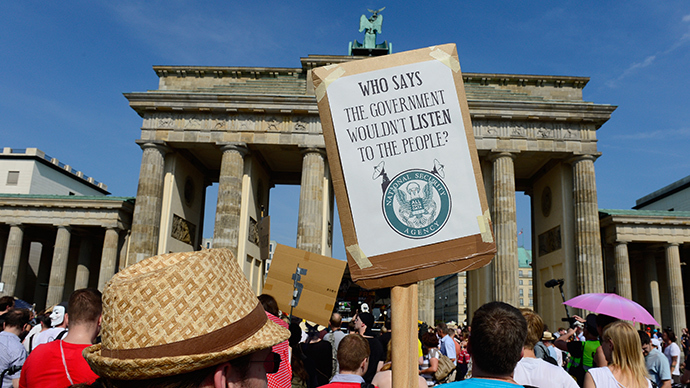 A German parliamentary committee has since been holding hearings on the NSA’s spying activities in Germany. “It’s very embarrassing for the political leaders in Germany to have Americans spying on the Chancellor, or Americans spying on the Defense Ministry, or Americans spying on the German Intelligence service, or on the parliamentary investigations – it’s a big embarrassment for the German political elite,” German investigative journalist John Goetz told RT. 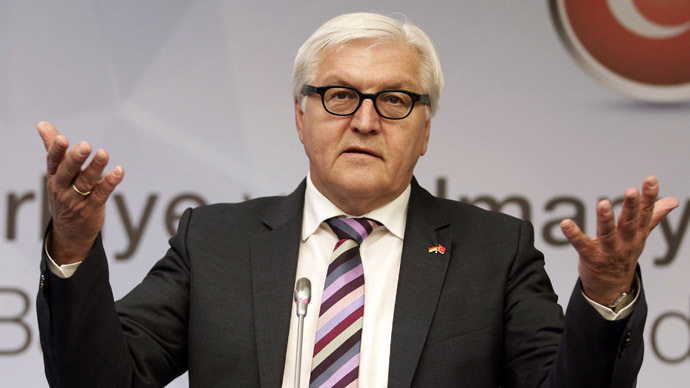 "Germany is under a lot of pressure...not to do something. From German standards, they did quite a lot..." he said.